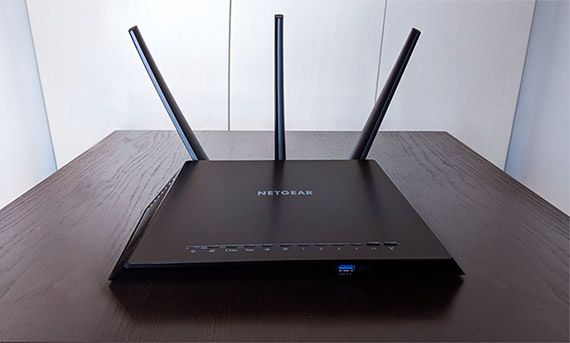 As its name suggests, the Netgear Nighthawk R7000P is the successor to one of the most popular dual-band routers, the Nighthawk R7000, a device known for both its solid wireless performance and for its iconic, stealth plane-inspired design. 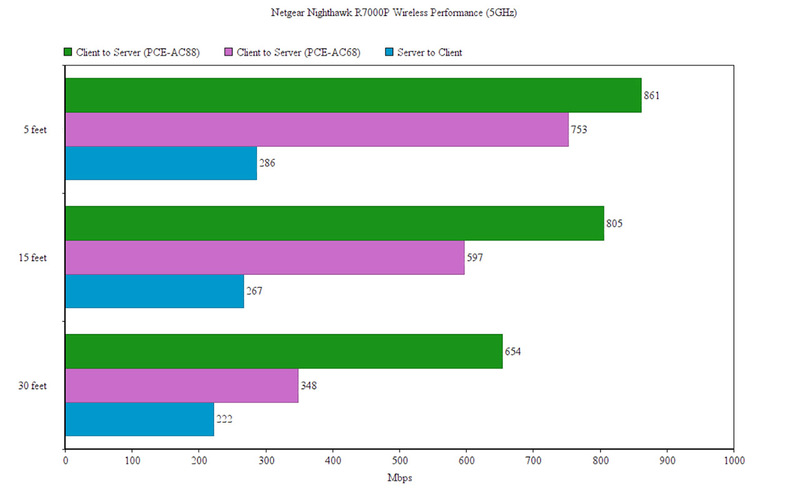 Three years after its release, Netgear decided that it had to adhere to more of the 802.11ac WAVE features, so it decided to keep using the Broadcom platform, but it has upgraded some of the key hardware elements, therefore pushing the previous AC1900-class to AC2300 and adding both the support for the MU-MIMO technology and for the 1024 QAM modulation. 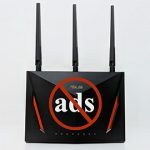 Furthermore, Netgear also advertises the support for the NETGEAR Armor™ which is powered by BitDefender and acts as an alternative to the TrendMicro (mainly used by Google WiFi, Eero and some Asus routers), and there’s also support for Circle with Disney for better Parental Controls, but both of these features are limited to a free trial and you’ll have to purchase a paid subscription to continue to use them. 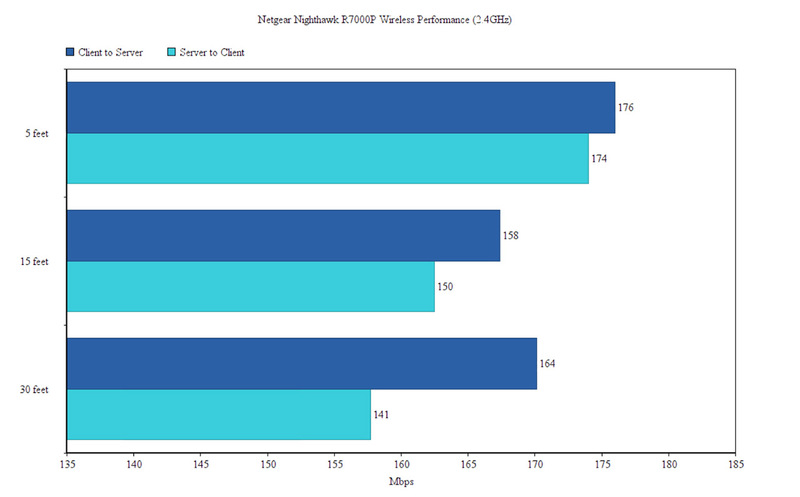 But, at the same time, the R7000P doesn’t feel like a radical improvement over its predecessor since it is difficult to use it at its full power (you need compatible WiFi adapters), but considering that the R7000 was a game changer for Netgear, I am curious to see if the Nighthawk R7000P’s performance rises up to today’s exigences. 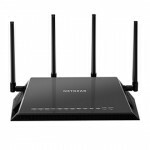 Without a doubt, the Netgear Nighthawk R7000 was one of the best designed wireless routers of its time, overshadowing its direct competitor, the RT-AC68U by taking inspiration from the Lockheed F-117 Nighthawk stealth plane (from where it took the name of the entire series). The Nighthawk R7000P looks identical to the R7000, so you can expect the same angular plastic case covered by a dark grey matte finish, with its lateral parts slightly inclined towards the base, exposing two sets of ventilation grills. 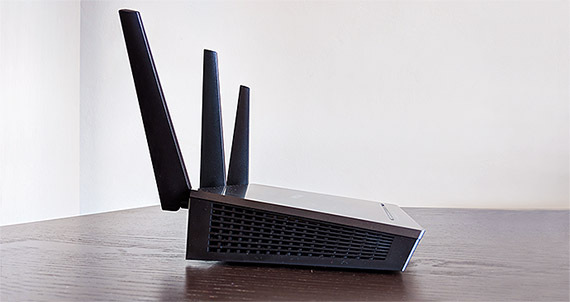 The router is still very large, especially by today’s standards, measuring 11.22 x 7.26 x 1.97 inches (while a Google WiFi unit is only 4.1 x 2.7 inches) and, from the rear area, there are three omni-directional antennas, shaped like fins, which can be removed and upgraded. 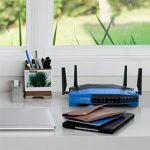 Some may think that the decision to keep the same case design is a good one because then the new router can easily replace the old R7000, but I saw a similar approach from Linksys which to its newest WRT router, it simply changed the colour and this can get tiring for the user after a few iterations. 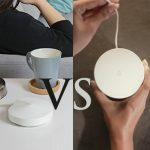 Don’t get me wrong, the R7000P can still compete with the latest wireless routers in terms of design, but the new Netgear Orbi and the XR500 show that the manufacturer can still create a cool designed product, so a fresh looking router can make a difference. Unlike some small, minimalist designed WiFi system units, a larger case can offer a few advantages, such as the better heat management and to ensure it, Netgear has also added ventilation grills on its rear side and a few on the bottom area, near the info label (that mainly contains the SSID/passkey, Serial Number and MAC address). While testing the R7000P, the case did get slightly warm near the label and on the top surface, but it never showed any signs that it may overheat. 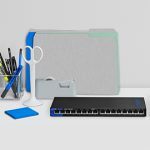 Similarly to its predecessor, the Nighthawk R7000P can be positioned horizontally on a flat surface, but, thanks to the two mounting holes from the bottom area, the router can also easily be mounted on the wall (so it doesn’t cram your desk). 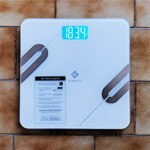 Furthermore, the R7000P weighs 1.65 lbs (a bit under the WRT3200ACM) and, by pairing it with the four silicone feet, we get a stable device which won’t budge regardless of the number of cables connected. Getting back to the top surface, you’ll notice the reliable array of LED indicators that have the role of showing the status of the router and of the network: from the left, there’s the Power LED (solid white indicates that the router is ready to be configured, while flashing white shows that the firmware is corrupted; the LED will blink amber either when the firmware is being upgraded or when the router returns to the factory default settings), the Internet LED (flashing white indicates that the WAN port is receiving and sending traffic), one LED for the 2.4GHz and another for the 5GHz radio, one LED for the USB 3.0 port, one LED for the USB 2.0 port and four LEDs for the four LAN Ethernet ports. 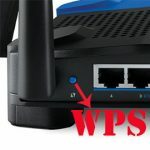 Next to the last Ethernet port LED, there are two buttons that have LED lights underneath them, one responsible for turning the WiFi On or Off and the other for initiating the WPS pairing. As I said many times before, I do prefer the traditional array of LED lights instead of the single LED approach of the WiFi systems because it’s more intuitive and make it simple to understand everything that happens with the router, without having to constantly consult the manual. 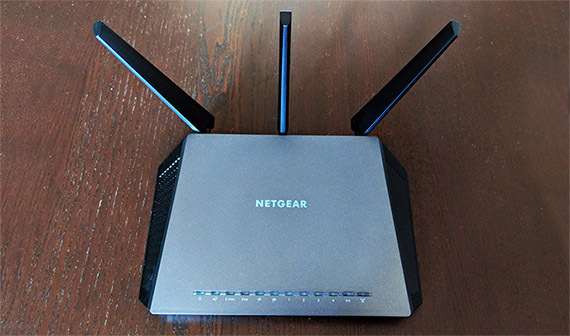 On the rear side of the router, Netgear has positioned a small recessed Reset button (press and hole it for seven seconds to return the R7000P to factory default settings) and next to it, there are four LAN Ethernet ports (RJ45, Gigabit). A bit more to the right, there’s the WAN port (Gigabit), a USB 2.0 port (could still be useful for connecting a printer), a Power On/Off button and a proprietary Power port. If you remember the frontal USB 3.0 port from the Nighthawk R7000, well, Netgear decided to also keep it on the R7000P, so, you get quick access if you have to connect a NAS storage or USB drive (surely, it could also lead to a mess of cables). 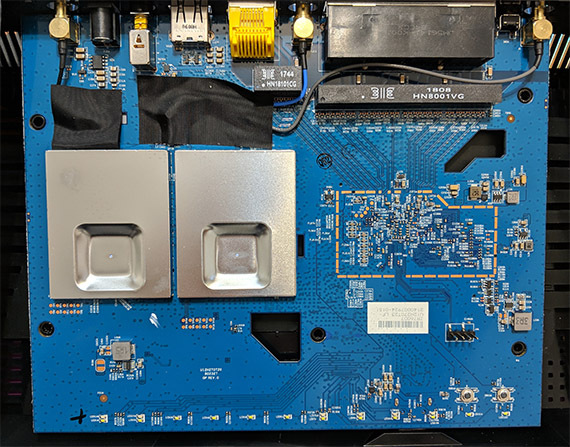 Inside the case, the Netgear Nighthawk R7000P is noticeably different than the R7000, but it still uses the Broadcom platform, being equipped with a dual-core Broadcom BCM4708C0 chipset clocked at 1GHz (which is not really that different than the dual-core BCM4709A0 also clocked at 1GHz of the R7000), 256 MB of RAM (Samsung K4B2G1646F-BCK0), 128 MB of flash storage from Spansion (S34ML01G200TFI00 622BB613) and it uses the BCM4708C0 as a switch chip. 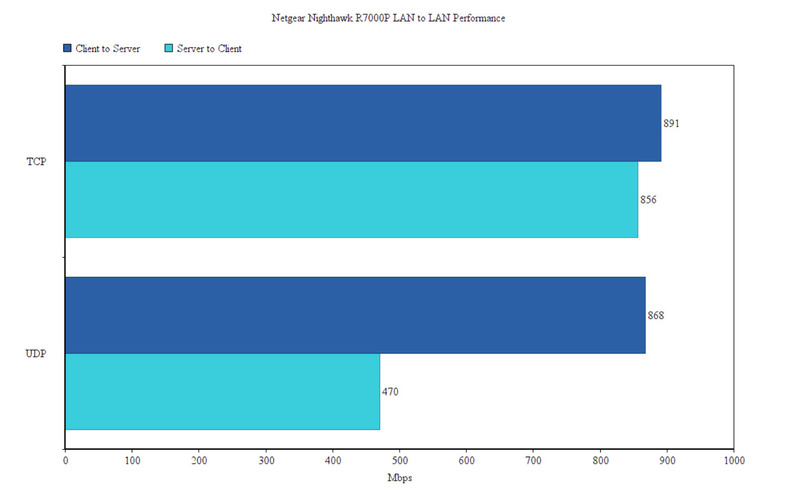 So far, it’s almost identical to the R7000, but the area where the R7000P got significantly improved was at the wireless chip for the 5GHz radio, which went from the Broadcom BCM4360 of the R7000 to the better BCM4365E KMMLG 3×3 SoC, that supports MU-MIMO (it also comes with the QPF4519 Qorvo integrated FEM). The 2.4GHz wireless chipset remained the same Broadcom BCM4360. The Nighthawk R7000P is advertised as an AC2300 class router, so it features a maximum theoretical data transfer rate of 600 Mbps on the 2.4GHz band and a maximum theoretical data transfer rate of 1,625 Mbps on the 5GHz radio band (to get the best possible wireless performance, you need to have a wireless adapter that supports 1024-QAM, otherwise the device won’t perform better than an AC1900 class router). The Nighthawk R7000 was very well equipped for its time, but the R7000P had to make a step forward and adopt one of the more popular WAVE 2 features, the MU-MIMO technology (Netgear added the 160MHz support only to its R7800). 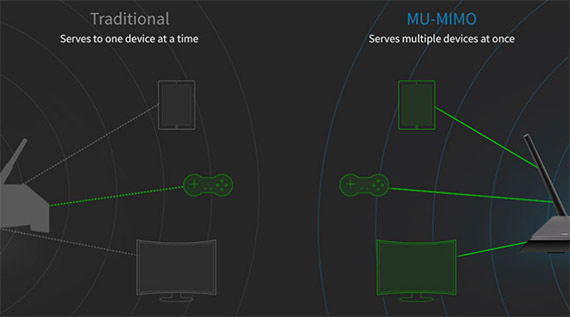 This ensures that multiple clients connected via WiFi will get served simultaneously instead of fighting for the bandwidth (the compatible clients are still very scarce, but, surprisingly, MU-MIMO seems to gain more ground every day, although in its lesser forms, such as 1×1 or 2×2). The R7000P has kept the support for BeamForming+, which ensures that the signal is directed (and enhanced) towards the client, so it improves the stability of the network and significantly reduces the effect of the interferences. 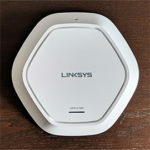 And I also noticed that the router takes advantage of the Smart Connect feature that automatically assigns the connected devices to their suitable WiFi band. While some routers also pride themselves with this feature, it’s not always properly implemented and you may still end up overcrowding one band and underusing the other, but Netgear seems to have done a good job in this case and R7000P is very effective in this regard. 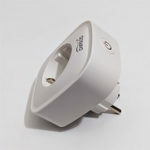 Some other features that are worth mentioning are the Netgear Armor (powered by BitDefender) that works as an Antivirus, provides protection against phishing and malware, and it also scans all your devices for vulnerabilities (great if you have IoT gadgets connected to the LAN network); the second feature is the Circle with Disney for enhanced Parental Controls. 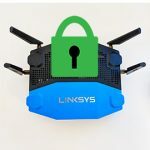 The problem with Netgear Armor and the Circle with Disney integration is that the former offers just a trial for 90 days, while the latter offers a basic free package and the full access requires a monthly fee. I’m not really a fan of monthly / yearly subscriptions, but they do offer some degree of convenience for the users that don’t want the hassle of dealing with additional hardware or custom software solutions. Note: If you were wondering whether Netgear has implemented some form of mesh technology, the answer is no, but you can check out the Netgear Orbi, which is regarded as one of the fastest WiFi systems available. 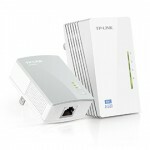 To test the wireless performance of the R7000P, I took two computers, one is a Desktop PC equipped with the PCE-AC88 WiFi adapter (will act as the client and will be able to fully utilise the power of the router) and the other is a potent laptop which will be connected to the R7000P via a CAT6 Ethernet cable. Note: The R7000P was upgraded to the v1.3.1.44_10.1.23 firmware. On the first test, I connected both clients to the 5GHz network and, from the client to the server, at 5 feet, I managed to measure an average of 861 Mbps, while at 15 feet, I measured around 805 Mbps and at 30 feet, the speed went down to 654 Mbps. This type of performance is possible because of the perfect compatibility with the PCe-AC88, so I decided to also test the router using the PCE-AC68 adapter and these are the result: at 5 feet, I measured an average of 753 Mbps (still a great throughput), but the real difference came at 15 feet, where I saw a decrease to 597 Mbps and at 30 feet, where the speed averaged at 348 Mbps. From the server to the client, using either adapter, I got pretty much the same results: at 5 feet, I measured an average of 286 Mbps, while at 15 feet, the speed went slightly down to 267 and, at 30 feet, I measured an average of 222 Mbps. On the next step, I decided to switch to the 2.4GHz network and, still using the PCE-AC88, from the client to the server, I measured an average of 176 Mbps, while at 15 feet, I measured an average of 158 Mbps; at 30 feet, the speed actually went slightly up to an average of 164 Mbps. From the server to the client, things remained surprisingly similar: at 5 feet, I measured an average of 174 Mbps, while at 15 feet, I measured an average of 150 Mbps; at 30 feet, the speed went down to around 141 Mbps. As for the wired throughput (LAN to LAN), the result were decent: the router delivered an average of 891 Mbps from the client to the server (TCP) and 856 Mbps from the server to the client (TCP); as for UDP testing, I got 868 Mbps from the client to the server and 470 Mbps, vice versa. Lastly, I decided to check out the storage performance using a T5 Samsung SSD drive (256 GB) and, moving a 2.5 GB multimedia folder, I got an average of 22.1 MBps while writing the folder and an average of 76.7 MBps for reading it (as can be seen, the writing performance is severely underwhelming). 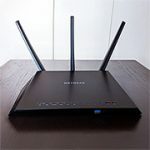 The WiFi systems were among the first to adopt a mobile device-only user interface and, since this implementation has received positive feedback from the users, a lot of manufacturer had to adopt this new trend and now even the traditional router uses a mobile app for both configuration and administration purposes. The R7000P is not an exception, so it can be configured via either the dedicated mobile app or through the web-based interface. Of course, I chose the former, so I installed and ran the Nighthawk application on my Android phone. On the first step, I was required to create a Netgear account (you can use two-step verification for extra security and link it to your Facebook account – it seems to be necessary for remote access from anywhere in the world) and, afterwards, I had to connect to the router’s WiFi network (Netgear also provides some instructions for the hardware installation).